It’s got to be one of the best motorcycle photos ever ! 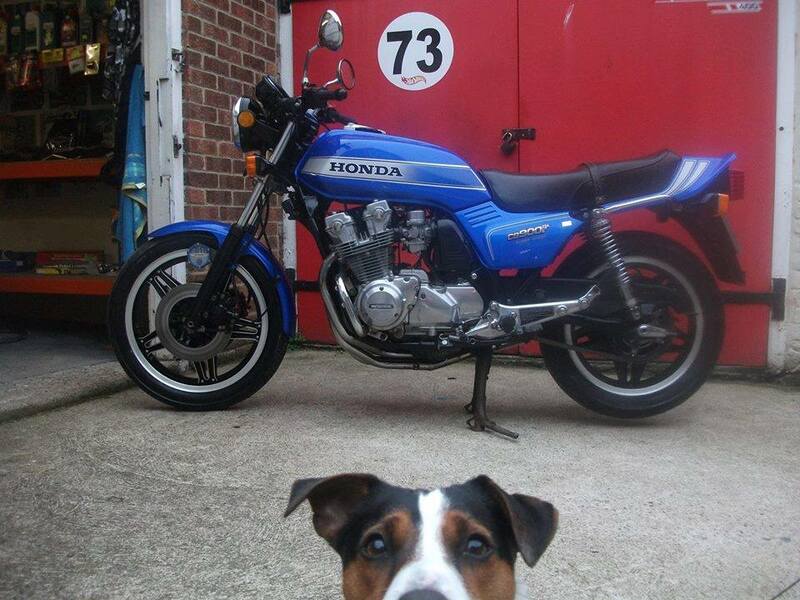 I too love the dog photo bombing the picture ! Haa ha, insert laughing face here…! Sorry, CB 900, you’ve been upstaged. I’m still smiling at this picture. It looks like, “Kilroy was here…” Anybody remember Kilroy…..?